I’d be lying to say that I know a lot about hip-hop, but I got lucky on this album – it’s a very well done project that should be easy for anyone to digest and enjoy. 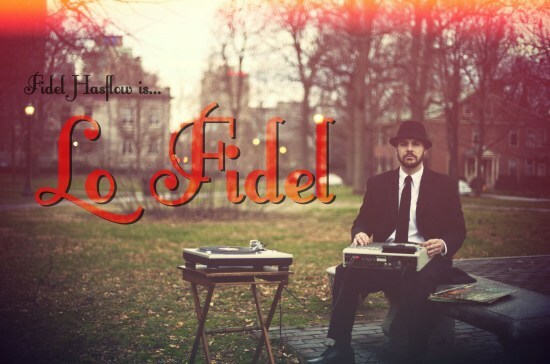 Abundant with samples, Fidel starts off the whole album with a sample about radios, and throughout the album – whether about Colt 45’s, production of vinyl, or just the repeated “Fidel” that is found on many songs – the vocal samples are all used well. When it comes to the music, Fidel’s job at Lexington’s vinyl shop The Album is obvious, as many of the sampled bits sound like they came straight off vinyl. With the crackle of old wax preserved, LoFidel does a great job of taking you away from the current world of overly-digitized music, and replaces it with good-feeling samples through an analog production. For an album of this sort, it has remarkable cohesion – something that many albums in the genre lack. Like I said, even if you’re not into this type of music, it’s a highly accessible album that deserves a listen, or several. Tracks I Liked: Crash Landing! !, Back Trapper! !, Analog Astronaut!, Plush Leather! !, Mellow Psychosis!!! (My favorite), Right Timing, The Reazon!, Recognize!, Halo Hands!!! (Also awesome), All of Us! !